Hylands House and The Grand Pavilion can host a variety of celebratory functions such as high teas, luncheons, dinners and evening parties. Hylands House has a range of beautifully restored rooms available from the lavish Banqueting Room, the intimate Small Dining Room and the elegant Terrace Room. 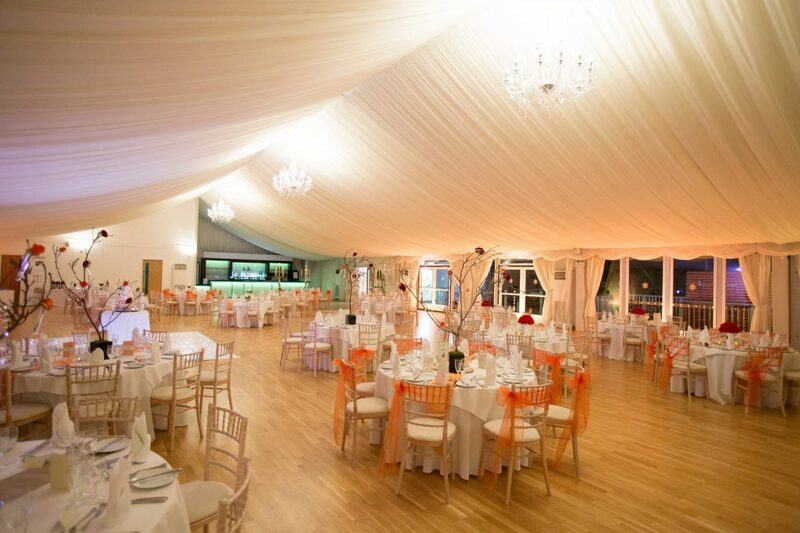 Alternatively the contemporary Grand Pavilion offers timeless glamour and a much larger flexible space. We can supply you with a bar facility, tea and coffee service and similar simple refreshments. For all other catering, you have the flexibility and choice to choose any caterer to provide services for you. We have a list of recommended external caterers for your perusal. For all other contractors such DJs, entertainers and decorators you are welcome to select any company that you would like to use creating your own bespoke event. We have a range of options to suit your budget and needs. Please be aware that bookings for Special Occasions are Monday – Thursday as we reserve weekend dates for Weddings only, unless the enquiry is 3 months before the desired date and there is an availability. Dine in style and immerse yourself and your guests in the opulent historical setting and elegance of Hylands House. For up to 80 guests you can host private dinner parties, birthday meals and anniversary celebrations set amongst the most elegant and luxurious surroundings in the area. Pictured Banqueting Room. Crisp and contemporary you can host up to 300 guests in our sleek, modern Grand Pavilion. 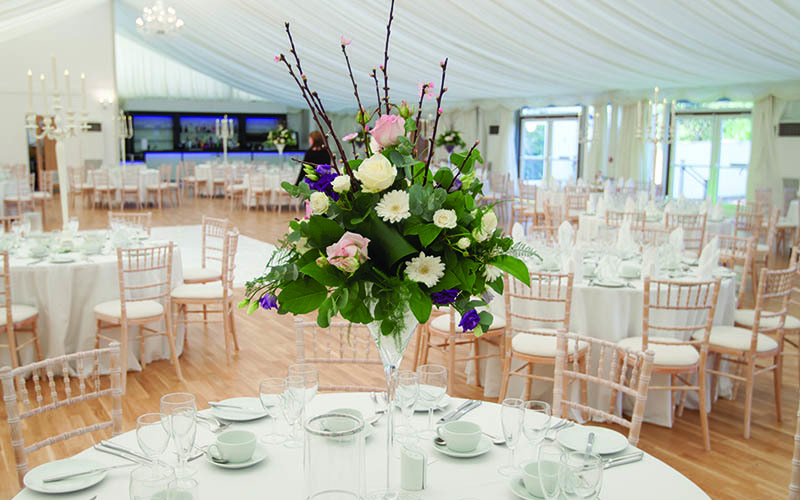 With it’s own stylish bar, kitchens, toilets and private court yard garden you have everything you need to host a banquet in the most flexible and spacious pavilion. Perhaps greet your guests with a reception in the elegant house, soak up the lavish surroundings and then enjoy your meal in the glamorous pavilion. 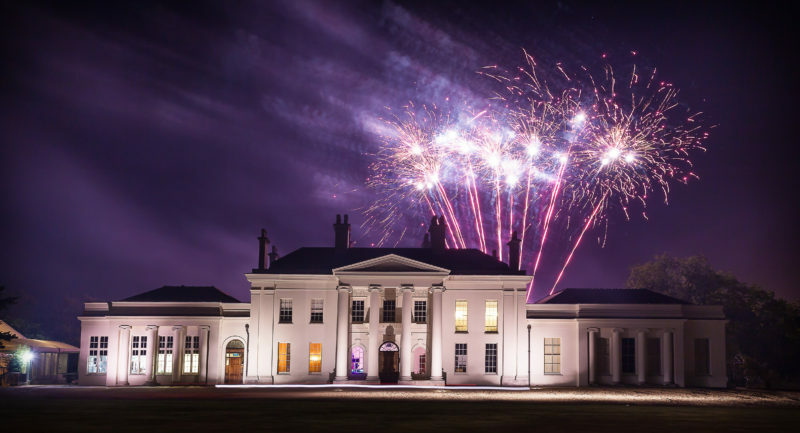 Celebrate and party in the exquisite surroundings of Hylands House for up 120 guests. Comprising of the Terrace Room for evening food and seating, dancing in the Entrance Hall and the Hylands House bar located in the Grand Staircase Hall. A perfect celebration space for smaller intimate gatherings. 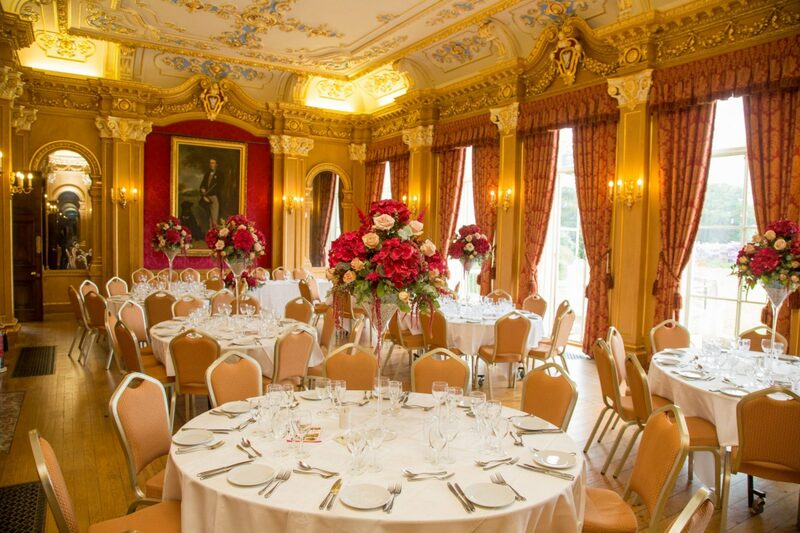 A truly exceptional space for a lavish party, the Grand Pavilion offers a contemporary alternative to Hylands House. Offering a stunning open plan space with enough room for DJs or a large band and with it’s own private courtyard garden area it is the perfect party space for up to 300 guests. Built in modern uplighters and an illuminated bar frontage provide the perfect ambience for an evening party.